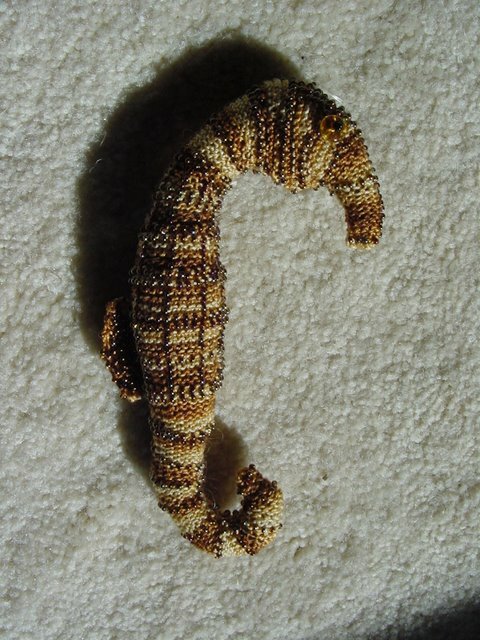 This creature took an incredible amount of time and skill, with lots of short rows, using #0000 dpns. My first bead knitting project. Picture doesn't do it justice. Stuffed with alpaca roving which I had left over from a spinning project.